MANILA, Philippines – The Office of the Solicitor General (OSG) and the Presidential Commission on Good Government (PCGG) asked the Sandiganbayan to forfeit the Marcos family’s 3 artwork collections, which were allegedly bought using public funds. 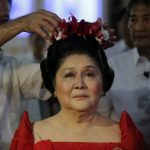 This came after former First Lady and now Ilocos Norte Representative Imelda Marcos failed to file her comment or opposition to the government’s motion to declare the art pieces “unlawfully acquired”. 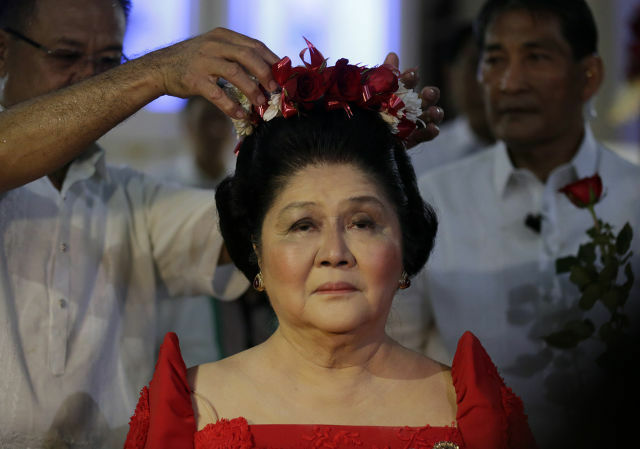 The anti-graft court on March 17 initially gave Marcos and her children – representing the estate of former president Ferdinand Marcos – only 30 days to file their respective comments. The children filed their opposition on April 15. Mrs Marcos, on the other hand, did not do so and instead asked the court twice for extension of a total of 45 days. While the last deadline given to her was on May 29, she still did not submit her comment or opposition. “Therefore, she is deemed to have waived her right to file. More importantly, she is deemed to have admitted the facts narrated in the motion,” government lawyers said in a 20-page reply filed before the Special First Division. According to the PCGG, the 3 questionable art collections consist of the following: 152 paintings with an approximate value of $11.84 million, 27 paintings and sculptures reportedly found at the sequestered Metropolitan Museum of Manila assessed at $548,445.48, and the so-called Grandma Moses collection of 12 paintings by American artist Anna Mary “Grandma Moses” Robertson said to be worth $372,000. The PCGG earlier asked the Sandiganbayan to order the Marcos family not to dispose of the artworks and to surrender them all. The OSG-PCGG said Mrs Marcos bought the questionable art collections for $24 million – a far cry from the Marcos couple’s declared income of only $304,372.43 from 1966 to 1986. By failing to counter the government’s allegations, Mrs Marcos is deemed to have admitted them, said the OSG-PCGG. “Respondent Imelda’s unqualified admission of the factual allegations …is binding on respondent estate as an admission by a partner, privy, and conspirator,” the OSG-PCGG pointed out. The children, for their part, dismissed the allegations as “forum-shopping.” For them, the questionable assets were already covered by the 1988 Racketeer Influenced and Corrupt Organizations (RICO) case filed against their parents and 7 others before a court in New York. But the OSG refused to buy this, saying the two cases are different.